Home ENGLISH REVIEWS Driving test Abarth 695 XSR Yamaha, what’s in a name? Driving test Abarth 695 XSR Yamaha, what’s in a name? Perhaps ‘Abarth 695 XSR Yamaha a somewhat confusing name; we have it here, well about a car or a motorcycle? Go there but sit back, while we’ll clearly explain to you and immediately tell you how well it runs. Abarth and Yamaha are connected with each other and for those who do not attend the Moto GP look, deserves an explanation. The engines of the Yamaha racing team, you know, among others, Valentino Rossi, for years, sponsored by Abarth. And in order for this cooperation to celebrate a slew of Japanese motor manufacturer and the Italian huistuner of Fiat with the hands together. The result is the Abarth 695 XSR Yamaha and the Yamaha XSR900 Abarth, a beautiful couple which we already reported. But now it was time for the car to be a solid test to topics. Of course, everyone can see immediately that this Abarth based on the Fiat 500 Cabrio, but of a cute damesauto is little more about. An incredible smart car with cool gray paint and look at you challenging from three double headlights and low grille. Big red brake calipers from Brembo, deceived by the sporty black alloy wheels. And then who still has doubts as to the sporty nature of this Italian, but let’s take a look on the back cast. Two fist carbon pots, with the iconic name Akrapovic is flanked by a real diffuser. What concerns us is the appearance of the Abarth XSR particularly well managed. 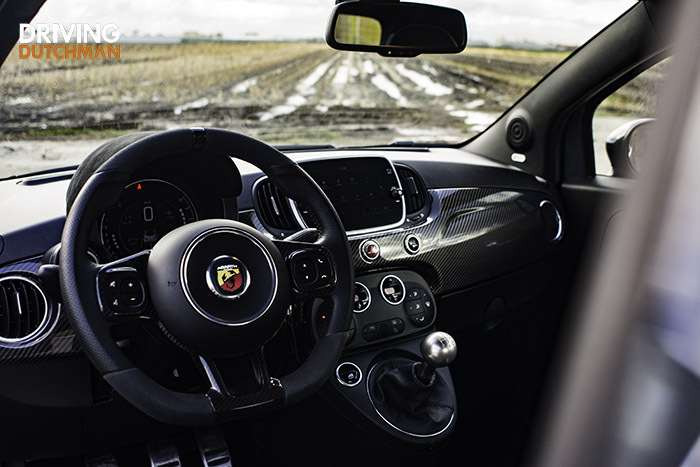 One of the tastiest things you have in this Abarth can do -apart from that of course – is to turn the key and the car start. 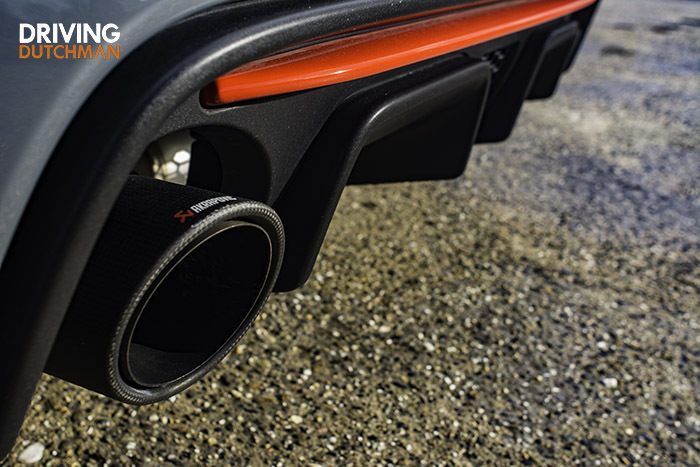 It is almost impossible to imagine what a raw and hard sound of the exhausts outbreaks. For a moment you imagine yourself actually on the grid in a race car with at the very least a V8. But no, this sound is produced by a 1,400 turbo. Incredible how the uitlaatkunstenaars dealer from Akrapovic that happen. 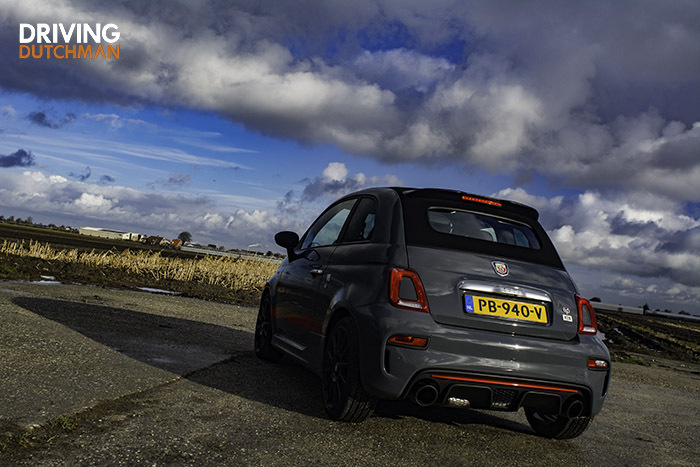 The 1.4 turbo, known from all the other Abarths, it delivers in this performance, 165 bhp and 230 Nm. The interior of the 695 XSR is also being addressed with a truly stunning suede steering wheel, carbon dashboard, and of course Abarth logos here and there. The most striking are, however, the two carbon bucket seats from Sabelt, which you on all sides perfect support and also sit. It is a pity though that they are for the ideal seat much too high and unfortunately not down. 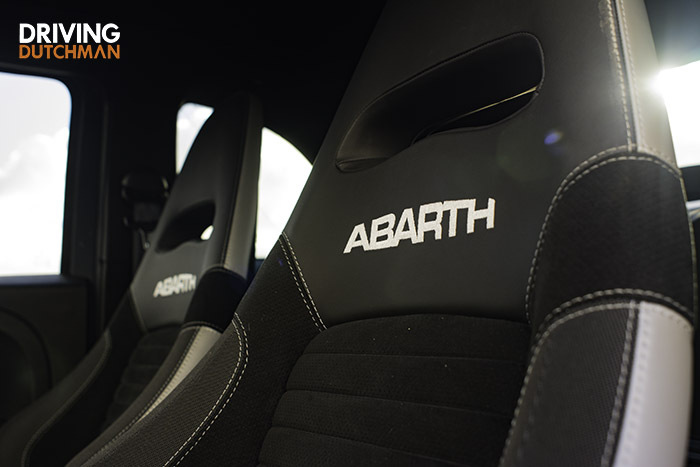 A new version of the U-connect infotainment system offers all the modern multimedia that you need and is in the Abarth a number of fun features. 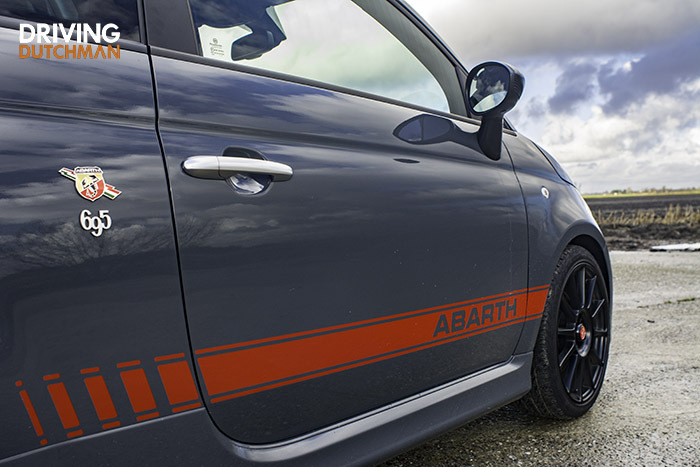 So he keeps you 0-100 time, top speed, and you can challenging routes to create, share and drive from other Abarth drivers all over the world. You will also find here information on a large number of circuits, that you as a game, one must check off. Wondering if anyone ever they all are going to do in his Abarth. Also the chassis of the Abarth 695 XSR is firmly adjusted with the suspension from Eibach and the dampers from Koni, and that brand is you. You can the car really is a bend in corners, where you have amazing long grip continues to hold and also at high speed -the XSR has a top of 218 miles per hour – the car remains as a block on the road. With 165 horsepower at 1.050 kilograms, the 695 fast -0-100 km per hour in 7.3 seconds – and you are well in your seat, pressed. By the addictive exhaust note and firm suspension do you think, however, soon a lot harder to go than you go. Perception is the keyword in this little racer. The men of Abarth have with the 695 XSR Yamaha a nice car built. A sound of drooling, tough Italian looks, beautiful materials and components and with more than enough experience, it is a very nice become. 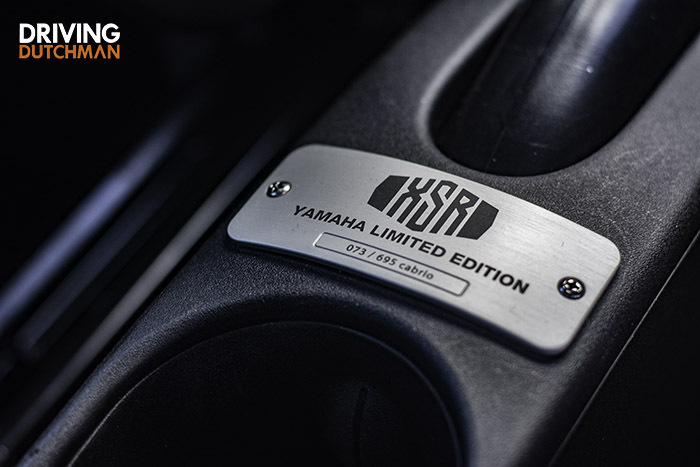 Well, the link with Yamaha goes not much further than a shared color and the name, but who cares, I want one! Unfortunately the 695 XSR is not cheap with 37.995,- euro, but now you are driving something special, and even a cabrio also.